The XL Travel Group is a leading travel consortium with a membership base of 120 prominent travel agencies spread across South Africa. Due to its size and influence (annual sales exceeding R2 billion –USD 300m) the XL Travel Group plays a pivotal and prominent role within the South African Travel and Tourism Industry, having the ability to maximize procurement benefits with major suppliers within the airline, hotel, car rental, inbound, and tour operating industries. Members of the XL Group are therefore able to extend a wide range of cost saving benefits to their clientele through some 575 highly trained travel consultants. 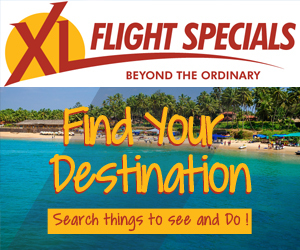 The strength of the XL Travel Group lies in its diversity, entrepreneurial spirit of its owner managed agencies and travel management companies. This expertise insures that the Group's procurement benefits, integrated with the entrepreneurial flair of its owner managed operations, provides both the leisure and corporate clients with the very best in service delivery and price. The need to diversify and specialize in a changing environment is reflected in many agencies becoming specialists in travel management, cruising, destination and leisure travel, event management, trade fairs and conferencing. The group also has specialist agencies in inbound travel. The diversity of the XL membership incorporates several of South Africa's largest and most respected leisure and travel management agencies. Values The XL Group functions through a Code of Conduct adhering to guidelines as imposed by its Members. The XL philosophy is centred on the membership being actively involved in the decision making process, with the Board of Directors being selected from the membership. Furthermore the XL group operates with total transparency ensuring that the group and members are strategically focused.